The quality of your life is, in large part, a result of the story that you continue to tell yourself. Each day you awaken to a blank page awaiting your "order." What is your expectation? What kind of day do you want to have today? Have you thought about it? 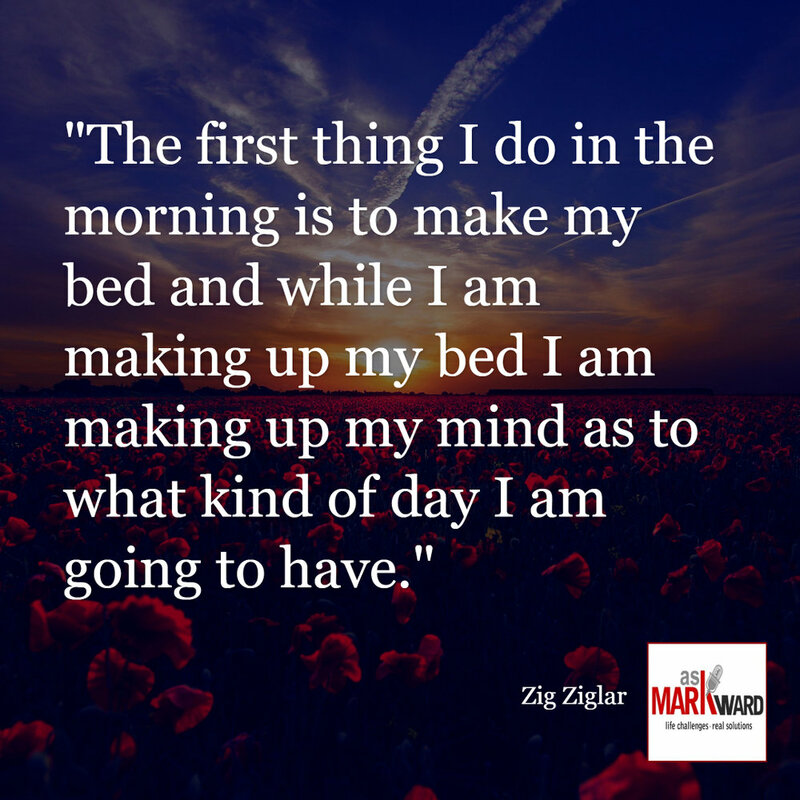 What would you like to say at the end of the day as you are preparing for bed? Take some time this morning to "place your order." Focus your thoughts on your dreams for today. What would make this the best possible day? Allow yourself to feel it. Do not become overly invested with how it is going to happen. Simply be clear about what you want and a couple of steps (however small) that will bring it closer to coming to fruition. Now, let it go and watch what happens! Success or sabotage? Success is only produced when you know what it is for you. Doesn't it change its meaning every day? Is this going to be an incredible day? Have you made up your mind? Logic is overrated. It is often defined by fear, uncertainty and limitation. If we were to operate solely within the boundaries of logic, there would be no advancements in perspective, invention or technology. It is only when one can dare to imagine that we are able to step beyond perceived limitations. All of the materials and resources for electricity, the automobile, and space/air travel have been around for centuries. The "logic" of man/woman kept it imprisoned in impossibility. We simply had not developed the consciousness to except these things as possible (much less probable). Are you allowing logic to limit your possibility? Are you married to fear and using logic as your reasoning? What can you do today to step out of logic and into pure possibility and potential? Success or sabotage? Success is a little bit logic and a whole lot of imagination! Is this going to be an incredible day? Have the faith, hope and discipline to make it so!